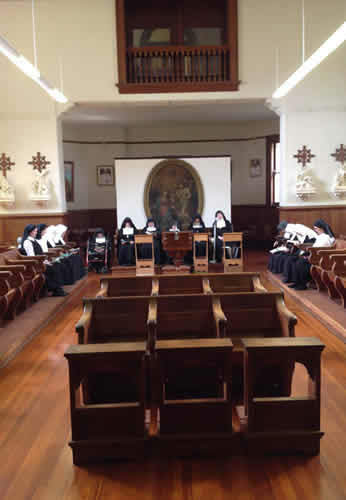 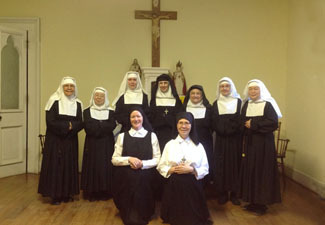 A photo of the sisters in formation, joined by Helen, a prospective postulant, during noviceship, which is a period of instruction in the monastic vocation, and the teachings of our Founders. 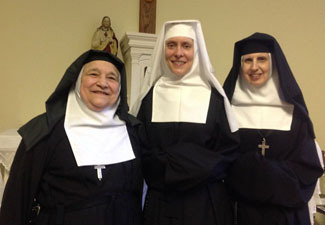 On October 1, 2014, the feast of St. Therese of Lisieux, Sr. Eileen Strei was clothed in the habit of the Visitation Order, making her the fifth white veil in our novitiate. 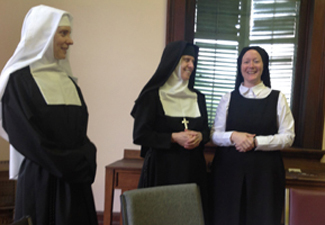 The private ceremony took place in the Chapter Room with only the sisters present, as is customary. 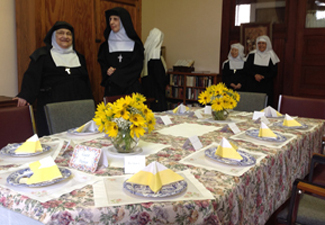 The new novice expressed her joy and gratitude throughout the day as she shared the moment with the community. 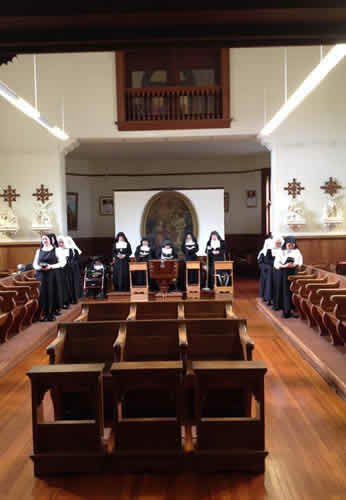 The following photos give a glimpse of some of this sharing. 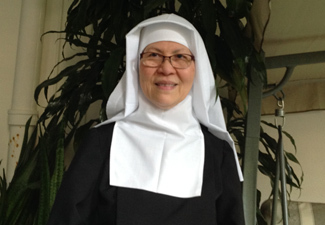 On December 8, 2014, Sr. Lina Ramirez became our sixth white veil in the novitiate. 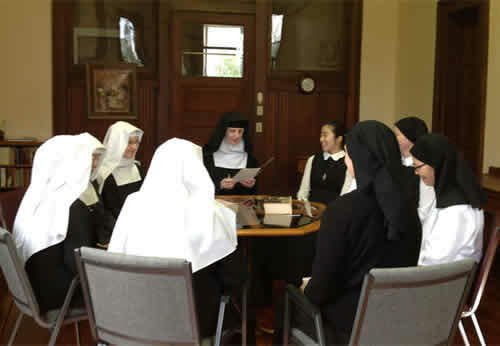 The brief ceremony took place in our chapter room which was warmed as much by our joyful spirits as the space heaters which were brought in to take the chill off the air. 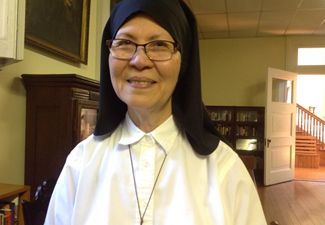 Sr. Lina as a postulant. 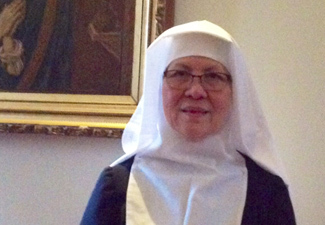 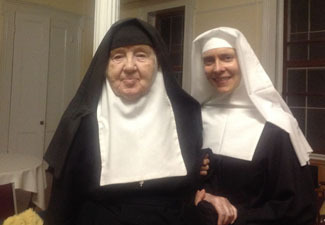 Sr. Lina in habit as a novice.